Before having my second baby, I used to be a morning workout person. I would wake up diligently at 5:30 am, before everyone else in the house, to get my “me time” and be able to workout uninterrupted. Now that I’ve had my third child, it’s even more difficult. I used to love my morning workouts and getting them done and out of the way before tackling the rest of the day. And also enjoying about an hour of peace and quite to drink my coffee and just be, was nice. I’m really excited to get back to that because, truthfully, I’ve always been a morning person. Even though mornings are rough currently I know that will change eventually when the new baby starts sleeping through the night (hopefully soon) and everything returns to a more normal pace. For now, I’ll still get my workouts done in the morning… it’ll just be with two kids and a few hours later than what it was. So for that, here’s a few tips to prep for morning workouts the night before! Don’t give up on the morning run because you can’t find your sock or sneaker or sports bra. Prepping the night before only takes a few minutes and helps avoid wasted time frantically searching for the essentials. Do a load of laundry if you need to, and then lay out your outfit so when you wake up, you can slip it on and go. 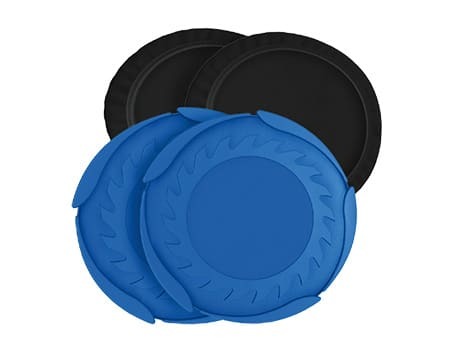 Charge your iPod, put your yoga mat or armband by the door, put your fave fitness video in the DVD player, or lay your dumbbells next to the TV. Be sure to hit the hay early so you’re well rested, and set your alarm to wake up to your favorite peppy song. If you tend to hit the snooze button way too many times, try putting your alarm clock on the other side of the room. Text or call a friend to set up a fitness date. If you decide on a time to meet in the a.m., you’ll feel obligated to go, even if your mind and body tell you otherwise. Check the schedule at your gym or studio, and choose an exciting and inspirational class to look forward to. A 6 a.m. Zumba class with your favorite instructor or sunrise yoga in a heated studio is sure to pull you out of bed. Or if music moves you, create a new workout playlist to motivate. Plan a special breakfast to eat after your workout as a reward for your efforts. You’ll get through your workout a little faster knowing there’s a hot cup of coffee and homemade cinnamon sugar protein bread waiting for you at home. 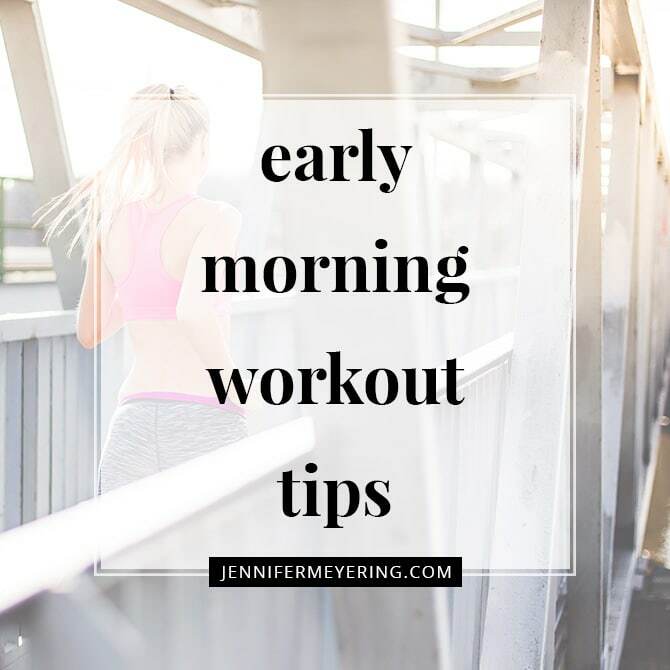 So there you have my early morning workout tips… What are some of the ones you use to get yourself up and going?